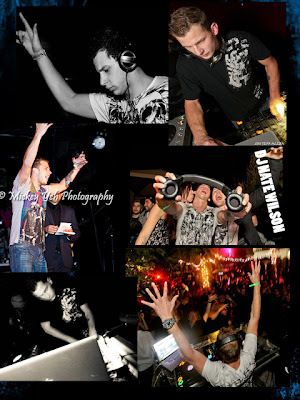 DJ Nate Wilson is an EDM (Electronic Dance Music) Artist hailing from Orange County, CA. Yes, he is a Disc Jockey, but his style is more directed on the dance side. Combine dubstep, trance house, and a hint of mainstream sounds and you have the recipe for Nate Wilson. Influenced by Tiesto, Kaskade, DeadMau5, and various local DJ’s, Nate was inspired to create his own music and has been mixing music for nearly four years, but is a new comer on the production side with just under two years experience under his belt. While his modest character will not boast about his skill, his boasts are on the turntable. With He has proven to be one of the most talented DJ’s of today and he was recently recognized for it. With the support of his fans and the judging committee of the 2012 Artist In Music Awards, Nate was honored for the title of Best Disc Jockey and took home his first ever trophy in front of a crowd of over 1,200 people at Key Club in Hollywood on February 10, 2012. Nate has spun at several popular venues in the OC, Long Beach, and the Hollywood scene. Join his Facebook page and find out where he will travel next. Don't miss a single episode of The Great Unknowns Presents.